Find a great selection of Canyon Lake timeshare rentals and resales in SellMyTimeshareNow's online marketplace! 2-3 bedroom luxury suites are currently available at the Hill Country Resort at low prices. Relax and unwind in your spacious unit which comes complete with all the amenities you'd expect at home including kitchen, fireplace, washer/dryer, roomy living area, and multiple bathrooms. Resort grounds offer even more with pools, playgrounds, arcades, and fitness centers. Situated right in the heart of Texas Hill Country, Canyon Lake timeshares are close to nearly everything which makes this area famous. Spend your days lazily tubing the Guadalupe and Comal Rivers, take a short drive to Austin to indulge in the world's best BBQ and dance the night away at local live music venues, or simply stay put and enjoy a day out on Canyon Lake. 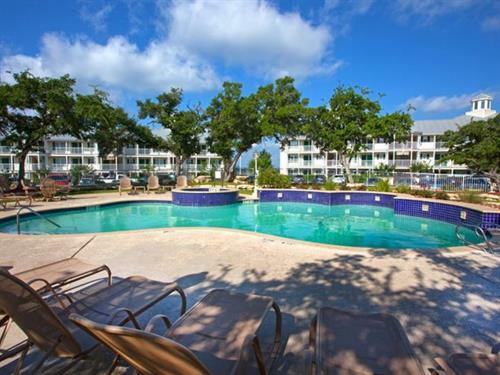 This area is the vacationland of Texas, and choosing a timeshare for your accommodation here is the cherry on top! When you choose to rent a timeshare in Canyon Lake through a private owner, you'll get to enjoy all of this luxury and convenience for less, and if you're not ready for ownership there is absolutely no commitment.If you do decide, however, you're reading to experience years of beautiful memories in your own affordable vacation property, we also offer a variety of Canyon Lake timeshare resales for 50-60% off. Visit our website to learn more about these stunning timeshare properties, or to book one today!